Sri Lanka’s tour of South Africa is now history and many changes have taken place since. It’s once again a new beginning with the tour of Australia with a new captain and a new coach and a new selection committee. However it’s important that we revisit the tour again and understand how incredible the last two wins were. For starters it was done without Sri Lanka’s premier batsman Mahela Jayawardane which speaks volumes of the ability of the team. Further it is not easy to chase two scores of over three hundred and win two back to back games, particularly in view of the series standing at that point. It makes one wonder as to whether it was the same Sri Lankan team that lost the series! It also tells me that there is nothing seriously wrong with any individual or the group either. Then why did Sri Lanka lose under Thilakaratne Dilshan they may ask? Then the counter question is how did the very team under the same skipper win so handsomely? In the light of this ascendency of the team were the wholesale changes fair? Hasn’t the much criticised selectors adopted a good selection policy? And if so was it the correct decision to show Duleep Mendis and his committee the door? To a complete outsider, the questions are not easily answered though I am sure for many knowledgeable persons the reasons and answers for most of these questions should have occurred already. I shall not dwell too much on it though some of the happenings on the field seemed pretty questionable and obvious! Read the rest of this entry ? From Davenall Whatmore to Trevor Bayliss, Sri Lanka had a great run of success in international cricket for 16 years when they won an ICC Cricket World Cup, reached three ICC World Cup finals and was ranked No. 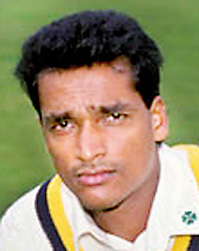 2 in both Test and One-Day Internationals. 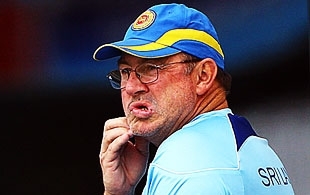 Now all that is about to change with Sri Lanka Cricket (SLC) unceremoniously sacking former Australia cricketer and coach Geoff Marsh just four months into his two-year contract. The manner in which Marsh was shown the door by the newly-elected SLC officials was “just not cricket” if one is to use cricket parlance. The action of SLC has more or less closed the door for any future coaches from Australia and around the world undertaking any future assignments in Sri Lanka. After struggling without a proper coach for two successive series’ the interim committee headed by Upali Dharmadasa decided that Marsh was the right man to take Sri Lanka cricket forward and signed him on a two-year contract. Little was Marsh to know what was to be in store for him after handling just the two series’ against Pakistan and South Africa. The very same individuals who thought so highly of Marsh as coach suddenly did a U-turn to sack him after just two series, hardly giving him an opportunity to find his feet and prove his credentials as coach. For the record Marsh was a member of Australia’s World Cup winning side of 1987 and coach of the Australian side when they won the World Cup in 1999. He was a highly respected coach in Australia and around the world and his sudden sacking has not only shocked the entire cricket world at large, but brought upon SLC the wrath of past cricketers both locally and internationally. It is not just the results obtained in the series that goes to make a good coach but how much of input he brings to the team. In that aspect Marsh had according to some senior players not been lacking at all. Read the rest of this entry ? 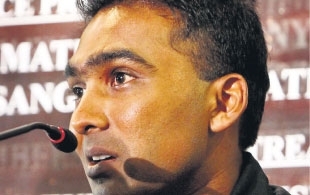 Sri Lanka captain Mahela Jayawardene wants his team to play good hard cricket and establish themselves as real contenders from the first game onwards in the Commonwealth Bank one-day triangular series in Australia. “We got a tough challenge ahead of us. There are little, little things we need to improve quite a bit. I don’t know how we will react in Australia but we will definitely fight for all the matches and try and be consistent as a team,” said Jayawardene who has once again taken over the reins as captain to guide his country’s destiny in cricket. The series commences at Melbourne next Sunday (February 5) with host Australia taking on World Cup champions India. Sri Lanka’s opening match of the series is against India at Perth on February 8. Read the rest of this entry ? Athula Samarasekera led a spirited Sri Lanka team to a convincing 50-run win over a well balanced Greek side in an exciting T20 cricket encounter organised by Serendib News to mark Australia Day at Sheply Oval, Dandenong. The Sri Lankan side batting first lost quick wickets and at one stage were precariously placed at 54 for 4 with its stars, skipper Samarasekera and former Sri Lanka opening bat Michael Vandort dismissed cheaply. But a superb hustle by the middle order and some lucrative rear guard action saw them recover to make a par score of 141 in their allotted over’s. Greece, with some talented club cricketers in their ranks including Dandenong District cricketer D. Nanapolous, a top all-rounder, were behind the eight ball when they let their opponents off the hook after some tight bowling early, and then faced an imposing target set by the Lankans. Read the rest of this entry ? RAHUL Dravid was widely and justly praised for his Bradman Oration last month. He has also proven prophetic. “Creaking terminators”: his droll, self-mocking description of India’s top order has turned out to be almost unimproveable. Yesterday at Adelaide Oval, they ground finally to a halt, and a remorseless Australian attack rolled right over the top of them. The visitors’ four mighty batsmen, weighty with honours and worth 45,000 Test runs, slouched towards the exits of their careers, the victims of good bowling, if not perhaps in each case of particularly good balls. They moved off pensively – in Virender Sehwag’s case at a meditative limp, holding the bat at its toe, analogous to a flag at half-mast. Often times we talk of a player who has gone on a game too far. There is a case to be made that this Indian team has since its World Cup victory gone on a year too far, or at least gone in circles when it should have been thinking in cycles. Its reputation, shredded in England, has here been pulped. Read the rest of this entry ? CRICKET writers these days think long and hard before they pass judgment on the Indian game. 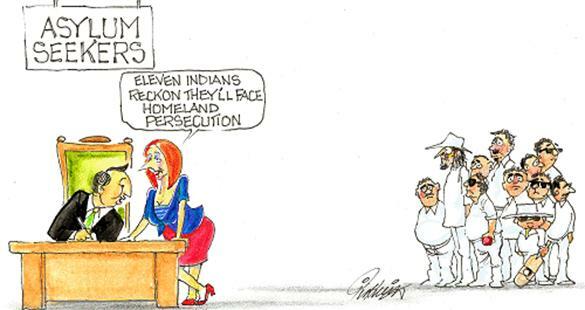 The Twittersphere is awash with examples of irate Indian “supporters” lashing out at perceived slights. The language of debate is always unreasonable and often disgraceful, a reminder that out east, cricket is much more than a game. So reader comments need to be understood in that context where Indian cricket is concerned, which made those underneath a recent piece on Cricinfo all the more interesting. “Way to go”, “decision to be applauded”, “positive step for the right reasons”, “good decision”, “fantastic move” were just some of the comments and then, revealingly, “it should always be your country first, and then the rest”. Read the rest of this entry ? 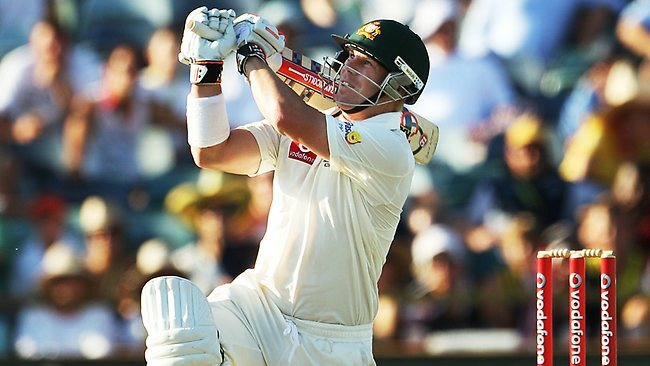 You are currently browsing the Critiquing Cricket blog archives for January, 2012.